Mondelez-owned-Cadbury has partnered with the chef Eric Lanlard, the man behind the Creme Egg brownies recipe, to challenge consumers to come up with more "crazy" ideas and share them in the 'Cadbury Kitchen' on Google+. 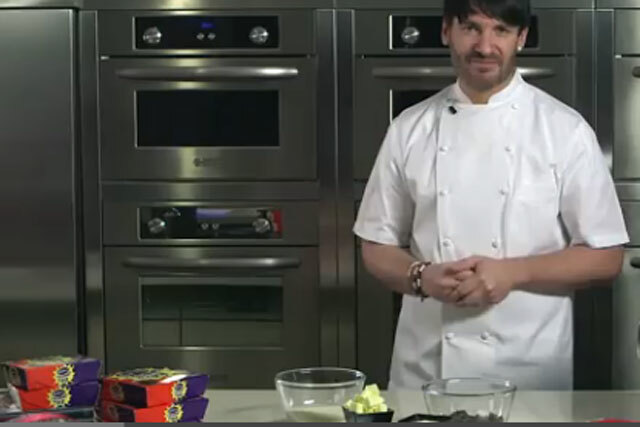 In a video promoting the activity, Lanlard explains that to celebrate Cadbury's 100,000 followers in the brand's Google+ community, he is asking for people's favourite Creme Egg recipes. He will choose his favourite and bake them live in a Google+ hangout on 4 March. Lanlard, the host of Channel 4's 'Baking Mad', invented the Creme Egg brownie and sent it into the brand through Cadbury's social media activity for Cadbury Kitchen in 2012. Now, consumers are being challenged as to "what other crazy Creme Egg brownie recipe ideas they can come up with," said Jerry Daykin, European social media marketing manager at Mondelez International. The activity is being supported by the Google+ beta ad product, which allows Cadbury to turn any post in to Google Display Networks (GDN) ads, alongside organic and promoted activity across the brand's Facebook and Twitter channels. Cadbury is not expecting a large number of people to take part in the activity itself, but is expecting millions of people to see the content in the run-up to the Google hangout. Daykin said: "One of the great things about this is how much delicious content will come out of it and how we can use that to keep Creme Egg brownie front of mind right up until Easter." Speaking at the Brand Republic Social Summit this month, Daykin explained how Mondelez had the challenge of turning around two years' worth of declining sales of the Creme Egg brand, and how this was achieved through social media. Daykin said the company wanted to reach more people aged 16 to 24 who were watching less TV and spending more time on social platforms, in order to introduce them to the brand, and so it planned its social content accordingly.